Price: 0.99USD or 0.79GBP, but there’s also a free version. 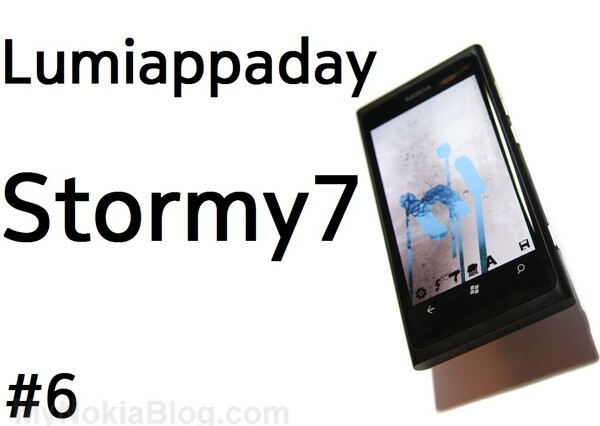 Stormy7 is a fun little application that replicates steamed up glass windows extremely well. Design: 10 -This is a gorgeous looking application. 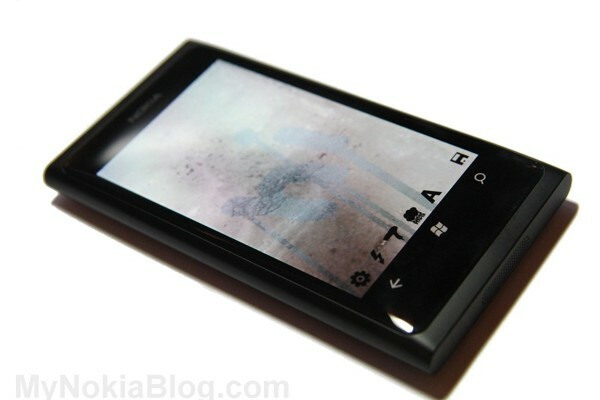 The steamed up display on the Nokia Lumia looks like some condensation really has gotten into the beautiful curvy display. Touching the display cleans up the steamy glass and you will also notice that it also replicates the formation of drops that follows the accelerometer, so if you turn the Lumia, the drops also run along. Something else that’s really impressive is blowing on the screen (like when you breath on cold glass) restores the steaminess. As well as visuals, you also get some sounds, from rain, thunder and lighting sounds, hail, to the squeak of the screen. Usability: 9 – The controls are cleanly placed at the bottom, and you can even choose to set your own pictures as the background. Either take a photo or bring up your own albums effortlessly from the phone itself or from online albums, like facebook. You can set thunder and lightning and hail. You can also take add texts and take screenshots that are saved to your saved pictures album which you can share later as well. Settings is neatly played out. The only thing I have an issue with is the switch that I thought I’d swipe but often goes to the next page. Just tap it instead. Performance: 9 – I had problems with this crashing the first time I installed this on my Omnia7 many months ago, but like tons of apps I’ve been using, the developers are CONSTANTLY providing updates, adding features, improving stability etc. On the Lumia 800 this app is very fast, very slick, no issues. There is pretty much no delay in rubbing the fog off the screen, it’s very quick and just feels natural; the slight delay perceivable before that is now gone makes the experience so much better. Blowing on the display works immediately (you’re supposed to do it near the microphone but the app picks it up enough). Instead of blowing, you can also breath on it like you would a cold window. It’s pretty neat. 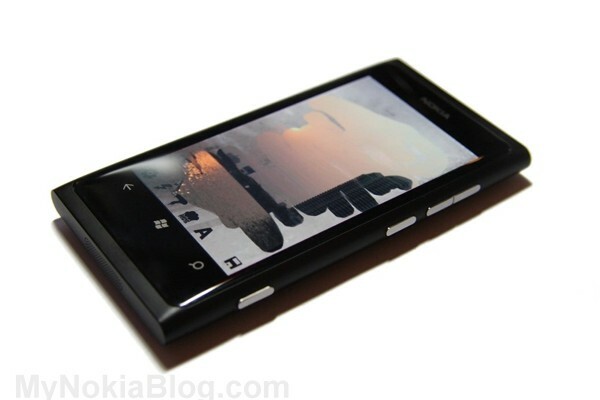 The drops follow the orientation of the Lumia 800 instantly, as well as the rain and hail. The only thing I didn’t like was the squeak sound on the screen but thankfully than can be disabled. Price: 10 – Whilst it is a paid app, you can get a free ad supported version. For 99 cents (thankfully this translates to 79pence in the UK and not £1 as Nokia Store would have done) this developer has made an app that is so worth it for me. Conclusion: It’s correctly priced for a really polished, fun experience so makes it very easy to recommend on a spur of the moment buy. it has no exact uses. It’s just for a bit of fun. My little cousins love this app. P.S. Oh and with paid apps, you don’t have to worry about redownload limits. Marketplace will say “buy” though it will tell you that you have already paid for it and can go ahead and download.